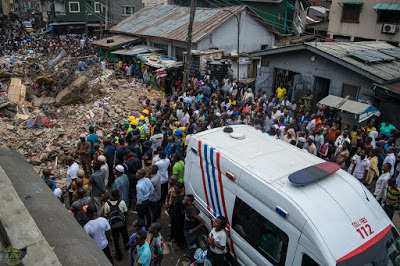 Building Collapses In Lagos Island, 15 Rescued. 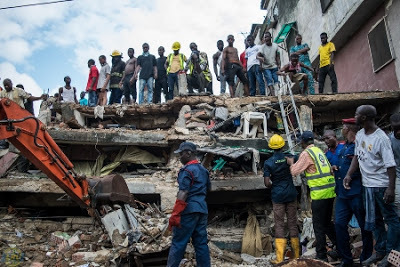 Yesterday, 25th of July eyewitnesses called the Toll-free emergency line 112 to report that a building had collapsed at No 3 Massey street, Lagos Island. The Emergency responders immediately left base for the scene. 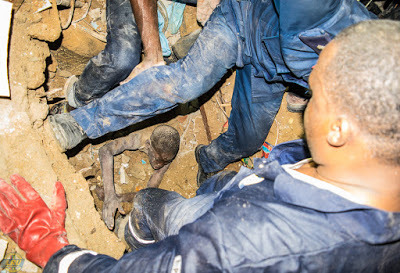 As at 7pm last night, 5 children and 10 adults had been rescued. 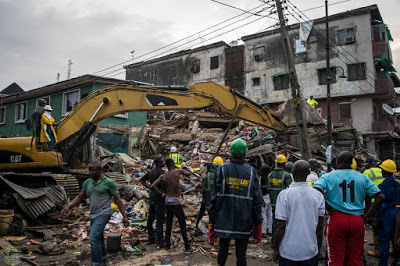 20 hours after the collapse, the recovery operation is still ongoing by the emergency responders of the LASEMA Response Unit and other responder agencies searching through the debris with Heavy duty and light rescue equipment to ensure that they are no other victims trapped in the rubble. Once the site has been declared stable, reclamation will commence. 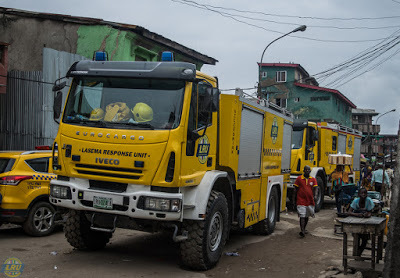 It is a great relief to know that Lagos State now has a robust Emergency rescue team with the appropriate equipment at its disposal to attend to such emergencies swiftly. 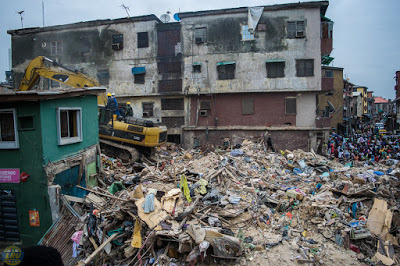 The days when emergencies like this occur and we have inadequate manpower or had to rely on construction companies to respond to such incidents are long gone.